In honour of Bell Canada donating 5 cents to mental health care for every time the hashtag #BellLetsTalk is used today, we wanted to kick off our Women Changing Wednesday feature with actor and advocate, Glenn Close. The six time Academy Award nominated actress has made her mark not only in the film and theatre but for her achievements in the advocacy for mental illness and awareness. As the founder of Bring Change 2 Mind, Glenn Close is the founder of the national anti-stigma campaign aimed at removing misconceptions about mental illness. The idea was created between Glenn and non-for-profit organization Fountain House, where she volunteered to learn more about mental illness that has effected her family directly. Using her public voice and passion, Glenn is help end the stigma against mental illness. Today we salute Glenn Close as a trailblazer both on and off screen. To donate to her foundation please visit http://bringchange2mind.org and tweet #BellLetsTalk today to make a difference. 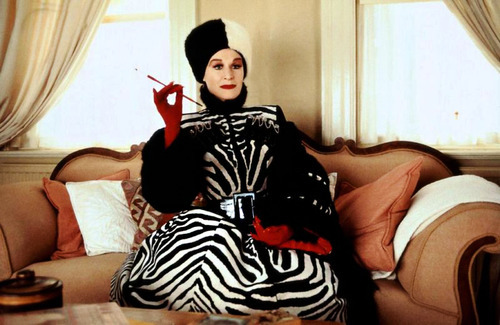 Check out the gallery below for some of our favourite looks from one of our favourite Glenn Close roles as the infamous Cruella De Vil.